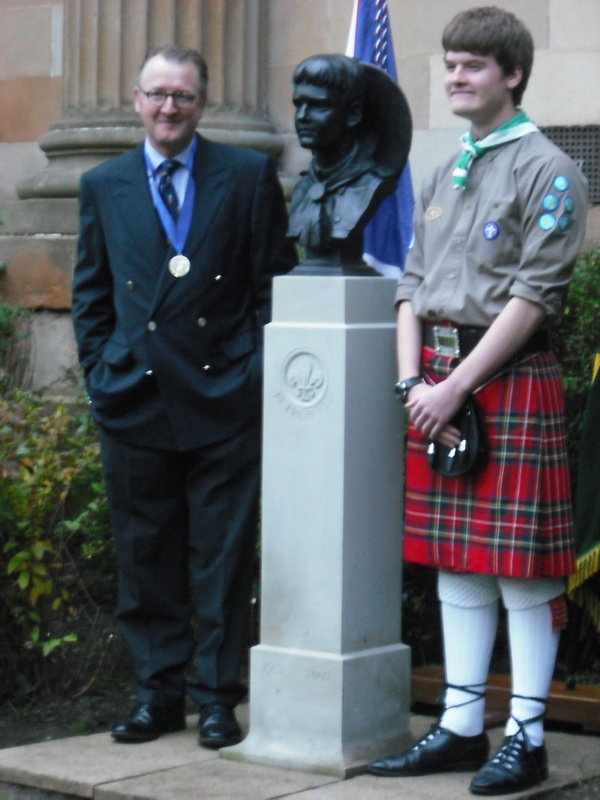 The bust of the Scout celebrating the 100th anniversary of scouting was unveiled on 29th September 2011. The memorial is located at the entrance to the Paisley Art Gallery and Museum. Fundraising efforts by the Paisley and District Scouts has made this possible. The Trust provided landfill tax funds for the Plinth. Special thanks is also due to the sculptor, Sandy Stoddart who has supported the project.